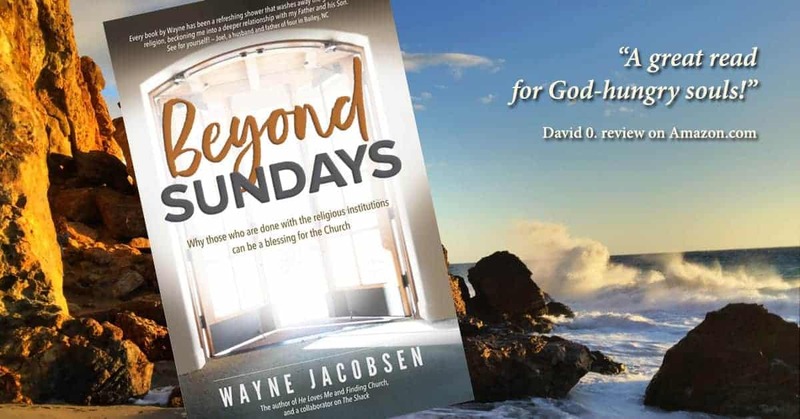 I love the emails and comments I’ve been receiving about Beyond Sundays. I’m so grateful for those of you who have ordered it, and also for those who are recommending it to friends and family or posting reviews online. All that really helps this book find the people it will help most. And the conversations I’m having with people about it assures me that it is doing what I hoped it would do, open up the conversation between all of God’s children about what it means to follow Jesus in the 21st century, whether they are part of a traditional congregation or find fellowship in other ways. It’s not as important where your body is at 10:00 on Sunday morning, but where your heart lives all week long. Here are a few of the comments I’ve been getting and some of the reviews posted at Amazon.com. 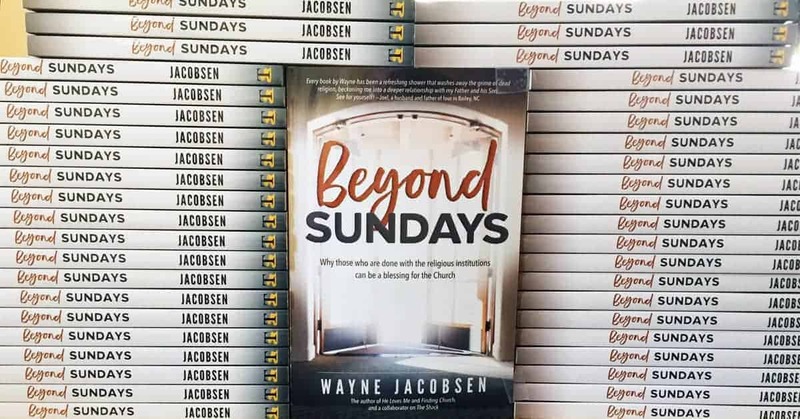 “This book, and the wisdom God has spoken through Wayne Jacobsen, has helped me see the heart of God for his true Church. I’ve layed aside legalism, religiousness and performance/production-based Christianity for a more genuine, intimate walk with my Jesus and am learning to love others more authentically.” Skyflyer on Amazon.com. “Loved this book! Finally, someone has articulated what I’ve felt for years about the institutional church. 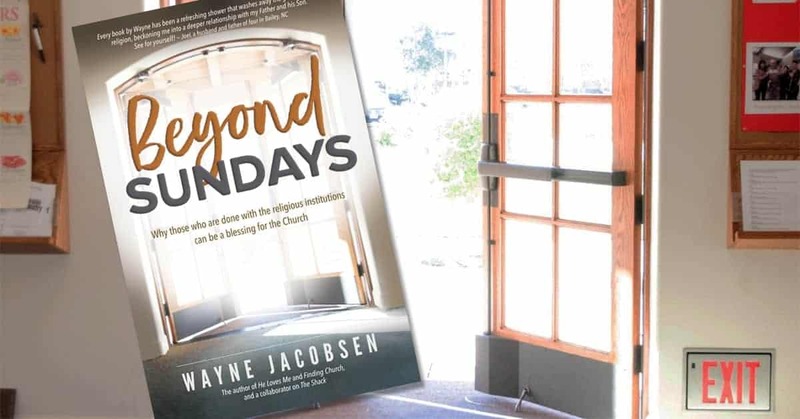 Wayne has revealed the freedom we have as believers to put meaningful relationships with the Lord and those who make up His Body before institutions, positions and man-made doctrines.” Gerard on Amazon.com. 176 pages, available in print and e-book. Is there a way to be able to provide Beyond Sundays in audio form? I have as friends a blind couple who have recently endured a Weaponized Love attack and are seeking a new congregation life. I believe it would be a good if they could have the opportunity to “read” your fabulous book. I don’t know if we’ll do an audio version of this book or not. It’s a huge expense and takes a ton of time. But maybe you could read it to them over a series of weeks and have some discussion with them too. That might be a blessing to all of you.